Kampot is an oh-so-quiet riverside town in southern Cambodia, just two hours from the Vietnamese border. It’s a perfect place to transition into a new country – slow and peaceful and welcoming. A two-block town center hosts about a dozen bars and restaurants, mostly run by checked-out expats. The majority of visitors stay just outside of town, in one of the handful of extraordinarily chilled out, rustic riverfront accommodations. 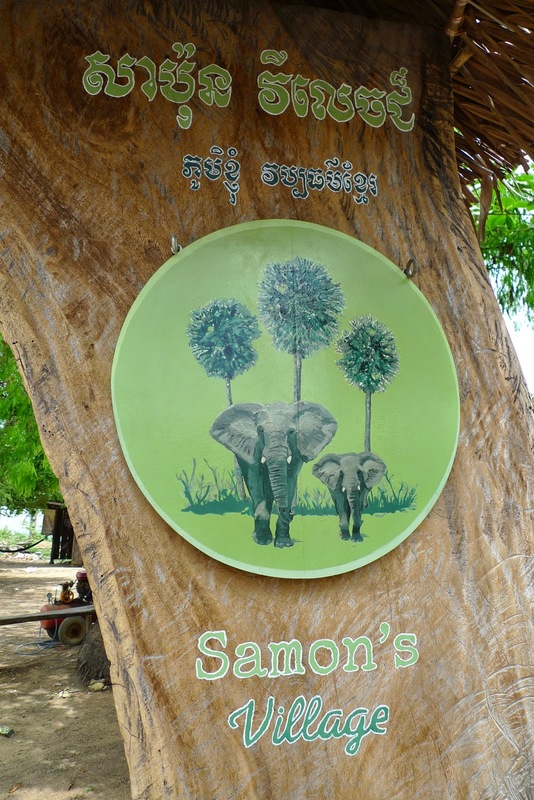 We stayed in a bamboo hut at Samon Village, mainly because their large wooden deck offered no shortage of lounge chairs and hammocks from which to soak up the area’s relaxed vibe. Motorbike adventures and rock climbing offered a few good reasons to tear ourselves away, as long as we came back in time for a sunset kayak. For photos of our visit to Kampot, click HERE. Sabrina! My boyfriend and I are planning a very similar trip to your first go around. I'd love to pick your brain if you're open to it? My email is blairemdorin@gmail.com, I'd love to hear from you!